There are two variants of the Galaxy S8 and S8+. One variant uses Samsung’s Exynos 8895 chipset, while the other uses the Snapdragon 835 SoC from Qualcomm. The Snapdragon variant is sold in Canada, China, Japan, and the US. Other markets around the world get the Exynos variant. Both chipsets are quite similar in terms of features, functionality, and performance. The Exynos 8895 and the Snapdragon 835 chipsets are built using Samsung’s 10nm FinFET process technology, feature gigabit LTE modems, Bluetooth 5.0, and more. However, many were intrigued to see which one offers faster performance, and GSMArena has published a range of benchmark numbers that suggest that the Exynos chipset has a slight more powerful GPU. The Exynos 8895 variant of the Galaxy S8 showcased faster multi-core CPU performance in Geekbench 3, while the Snapdragon 835 variant offered faster single-core performance. However, it’s interesting to note that both the variants of the Galaxy S8 offered a lower single-core score than Snapdragon variant of last year’s Galaxy S7. The Exynos variant of the Galaxy S8 scored higher than the Snapdragon variant in most benchmark tests. The ARM Mali-G71 MP20 GPU inside the Exynos 8895 appears to be more powerful than the Adreno 540 GPU inside the Snapdragon 835 chipset. The Exynos variant of the Galaxy S8 consistently scored higher than the Snapdragon variant in all GFXBench tests conducted by GSMArena. 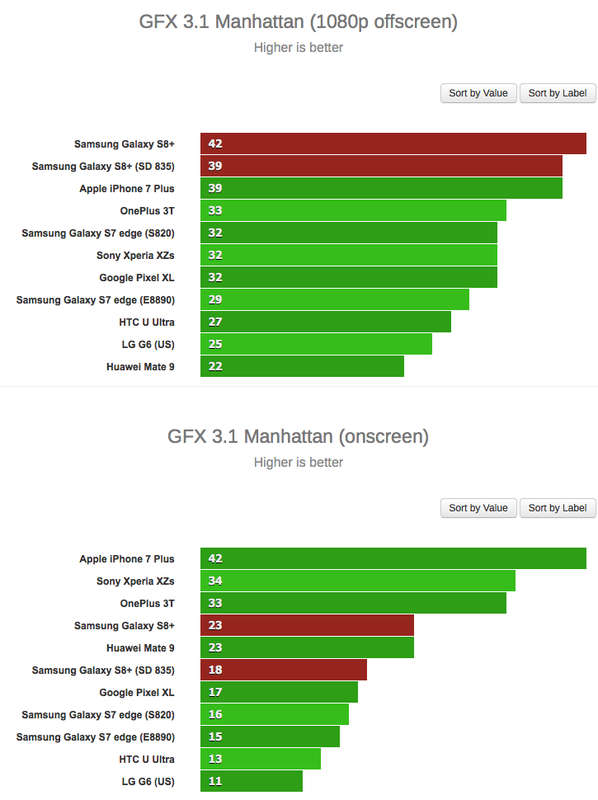 The Exynos variant also scored higher in Basemark X and Basemark ES 3.1 Metal tests. Head over to the source link to see all the results. 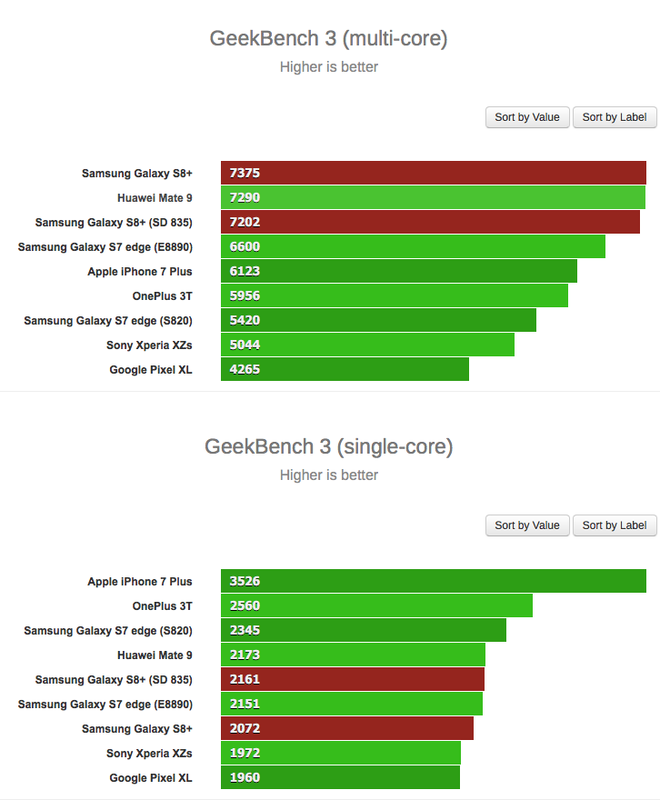 Geekbench 3 is outdated and inaccurate and was replaced long ago with Geekbench 4 and recently with 4.1.